As a homesteader I believe Tennessee is the best location in the Eastern United States for a homestead because it contains the most homestead features of any Eastern State. All Eastern States contain some of these features and portions of some Eastern States may contain all of these features, but Tennessee has the best combination of these features statewide. Why is Tennessee the best eastern State for a homestead? Tennessee's tax structure and laws make it homestead friendly. Rural population density and cost of living is low. There are four seasons and plenty of time to grow a garden. Tennessee’s system of rivers and dams producing hydroelectric power gives some of the lowest electrical rates in the U.S.
Tennessee is known for its three grand divisions or sections of the State. The eastern portion of the State consists of mountains and valleys and is home to Roan Mountain on which grows more edible wild plants than any other area of the Continental United States. Middle Tennessee has a combination of rolling hills, elevated plateaus and valleys and is located within 600 miles of 50% of the population of the United States. Much of west Tennessee is level land where soybeans, cotton and other crops are grown. 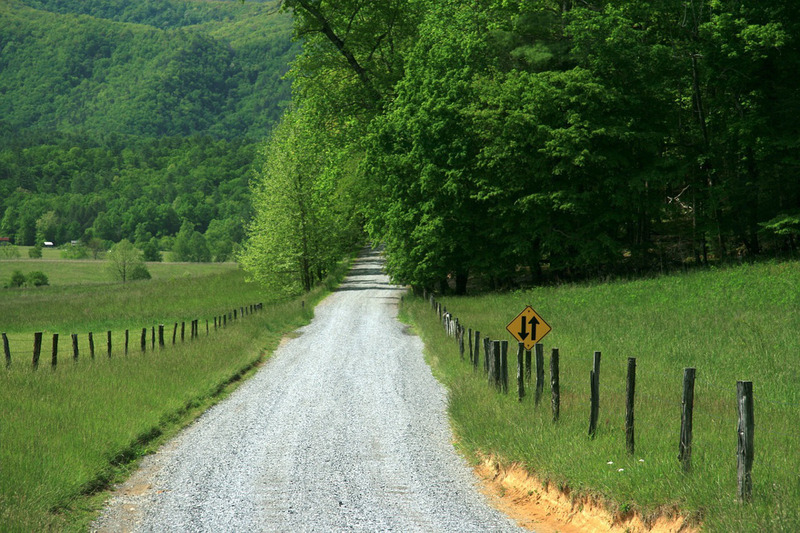 Each grand division of Tennessee has land suitable for homesteading. A homestead friendly State is a place where homesteaders can home school their children, have reasonable exemptions for those who do not want their children vaccinated, and find good areas conducive to a homestead lifestyle. Homeschooling children in Tennessee only requires a High School diploma or GED for the parent who is the teacher. This is a change from several years ago when we home schooled our children in Tennessee. Before the school year starts parents need to submit a notice of intent to the superintendent of their local school district "for purposes of reporting only." A notice of intent form is available on the Tennessee Department of Education's website. Proof of immunization or a medical or religious exemption from immunization is attached to the notice of intent. Minimal home school requirements include 4 hours of instruction for at least 180 days each school year and keeping a record of attendance on a form available on the Tennessee Department of Education's website. Children in grades 5, 7 and 9 must take a standard test. The Tennessee Home Education Association or local home school groups across the State can help home school parents with questions and forms. Another mark of a homestead friendly State is the presence of a Homestead Exemption. Even though Tennessee was not a State that was settled in part under the Homestead Act of 1862 it does have a Homestead Exemption of $5,000 worth of the primary residence or $7,500 if both spouses are debtors. Homestead Exemptions typically come into play when there is a judgment against a homeowner or the homeowner is forced to take out bankruptcy because of a judgment. There is a federal bankruptcy homestead exemption of $23,675 as of 2016 that can be doubled to $47,350 if you are married and filing jointly. In the usual case those filing bankruptcy can choose to use the State Homestead Exemption or the Federal Homestead Exemption but not both. The State Homestead Exemption can still be used for non-bankruptcy judgements against a primary residence. Tennessee is one of only nine States that does not have a State Income Tax on wages. Tennessee does have a State tax on dividends and investments. By being one of the States that does not have a State Income Tax on wages Tennessee Homesteaders get to keep more of what they earn. A traditional homestead was a place where the homesteading family was as self-sufficient as possible. In the nineteenth and early to mid twentieth centuries homesteaders relied on the local General Store for needed items not grown or produced on the homestead. Today many homesteaders rely on the local Hardware Store, Grocery Store and Stores selling dry goods that aren't grown or produced on the homestead. In the last census Tennessee's population was estimated to be some 6.7 million people. This gives Tennessee an overall population density of some 154 people/square mile making Tennessee the 20th most densely populated State in the United States. However that density ranking is not the density of the rural portions of the State. Some two thirds of the population of Tennessee lives within 50 miles of the four largest cities and the Tri-Cities area; Nashville, Memphis, Knoxville, Chattanooga and the Tri-Cities of Johnson City-Kingsport and Bristol. The Tri-Cities area in the northeastern corner of Tennessee is the fifth largest population area. This means the vast majority of people in Tennessee live in an area not more that 2,000 square miles. That leaves over 40,000 square miles for a population estimated to be 2.2 million or a rural population density of some 5.5 people/square mile. This rural Tennessee population density is about the same as the population density in Wyoming which is the 49th less densely populated State! Tennessee, having no State Income Tax on wages and a relatively low State Sales Tax, translates to a cost of living that is below the national average. According to Investopedia the only State with rural land that is consistently lower priced than Tennessee is Arkansas. Tennessee is ranked better than any Eastern State when it comes to State Fiscal Policy according to the Mercatus Center of George Mason University. This is a measure of how well State and local governments are at staying within their budgets. Nationwide Tennessee is ranked #4 in this category and the closest Eastern State to Tennessee is ranked #11. In Economic Freedom the Mercatus Center ranks Tennessee #6 out of the 50 States. The Business Dictionary defines "economic freedom" as "the freedom to prosper without intervention from a government or economic authority. Individuals are free to secure and protect his/her human resources, labor and private property." Tennessee has four distinct seasons with hot summers and cool winters. Snowfall averages between 5" in west Tennessee to 16" in the higher mountains of East Tennessee. There is generous precipitation and when we lived in Tennessee for some 21 years it was a rare time indeed when we had to water the garden. The statewide average rainfall is 50 inches/year with August through October being the driest months with an occasional need to water a garden during those months. Summers can be hot and humid with a statewide average high temperature of 90 degrees F and humidity can be in the 90% range at times. This combination of high temperature and humidity can make the daytime temperature feel hotter than it really is. Likewise, the relative humidity can be above 60% in the wintertime and this makes the cold, especially when the wind is blowing seem colder than it really is. To those not accustomed to high humidity it can take some time to become used to it. Tennessee is far enough from the Atlantic and Gulf Coasts to escape hurricanes. Tennessee can be on the receiving end of tropical storms as hurricanes weaken across the land and become rainstorms. Portions of Tennessee can average 50 days of thunderstorms/year and there can be hail and damaging winds. West Tennessee and occasionally Middle Tennessee can have a tornado. In the 19 years we lived in Middle Tennessee there were no tornadoes that we experienced. Tennessee can have an occasional ice storm and there can be heavy fog in portions of East Tennessee. Once in the 21 years we were there we experienced high winds that blew down trees and once we experienced an ice storm that led to limbs breaking off of trees and the electrical power was out for several days. With the exception of the higher elevations in East Tennessee Mountains it is rare to have a frost between March and October. This gives as much as 8 months growing season depending on when the ground warms up enough for seeds to germinate. It was not uncommon for us to go all the way through November with hardly a night that the temperature dipped below freezing for even a short portion of the night. Sometimes the weather on Christmas Day was warm enough to wear short sleeves. Although it could snow in December, the heaviest months for snow fall were January and February. Tennessee Has Some Of The Lowest Electrical Rates In The U.S. The Tennessee Valley Authority, TVA, has a series of 29 hydroelectric dams that covers most of Tennessee and portions of Alabama, Mississippi, Kentucky, Georgia, North Carolina and Virginia. The cost of electricity produced from these dams and other TVA facilities results in Tennessee having some of the lowest cost electricity in the United States. These dams create lakes where Tennesseans can enjoy fishing, swimming, boating and other water sports. Even rural electrical rates are low enough and the power is reliable enough that it has only been recently that homesteaders in Tennessee have started using solar or other alternative power sources. One way to determine the quality of Medical Care in a State is to look at the number of Medical Schools in that State. To be accredited a Medical School has to have sufficient facilities to adequately train the number of students in attendance. The practical result of this fact is that each Medical School must have up to date facilities for the treatment and diagnosis of patients. It is common for Medical Schools to also engage in Medical Research which furthers medical knowledge in those areas of research. In Tennessee each Grand Division of the State has at least one accredited Medical School. There are five Medical Schools in the State. East Tennessee has two Medical Schools. One in Johnson City at East Tennessee State University and the DeBusk College of Osteopathic Medicine at Lincoln Memorial University in Harrogate. Middle Tennessee has two Medical Schools in Nashville. One of them is Meharry Medical College which, with Howard University in Washington D.C., was one of the first Medical Schools established to train Black Americans to be Doctors. The other is Vanderbilt University Medical School which was ranked the 14th best medical research facility in 2013 by U.S. News & World Report. West Tennessee is home to University of Tennessee Medical School. After completing the first two years of classwork, students can spend their last two years of medical instruction in Memphis, Chattanooga or Knoxville. Prior to obtaining my Law Degree, I obtained two Health Care Degrees and worked in several Tennessee Hospitals including ones in Chattanooga, Johnson City, Knoxville, and Nashville along with time spent in several rural Tennessee hospitals. I can attest to Tennessee having a good quality of medical care. No matter where it is you choose to homestead there are 5 key factors to keep in mind that are necessary when choosing homestead property. Those factors are an adequate amount of water that is of good quality, the right type of soil for a garden, berry patch and orchard, the presence of sufficient trees, if you must cross over a neighbor's property to access your property there needs to be "legal access" and the homestead needs to be in an appropriate location. You can learn more about these 5 key factors here. Although water is not anywhere the issue in Tennessee that it is in large portions of the American Mid-West and West, it is still important to have a source of sufficient water. Without a sufficient source of water you will have trouble getting conventional financing to purchase homestead property. How much water is needed to finance homestead property is discussed here. Each of the three Grand Divisions of Tennessee have areas suitable for homesteading. Let's take a look at each of the three Grand Divisions and where some of the best areas for homesteading are in each division. I have lived in each of the Grand Divisions and much of the following is from first hand experience. This is generally described as the area from a line running north and south along the western edge of Putnam County, County Seat is Cookeville, all the way to the Eastern border of Tennessee. This area contains the Cumberland Plateau/Cumberland Mountains and the East Tennessee portion of the Appalachian Mountains along with the area between the two mountain ranges. 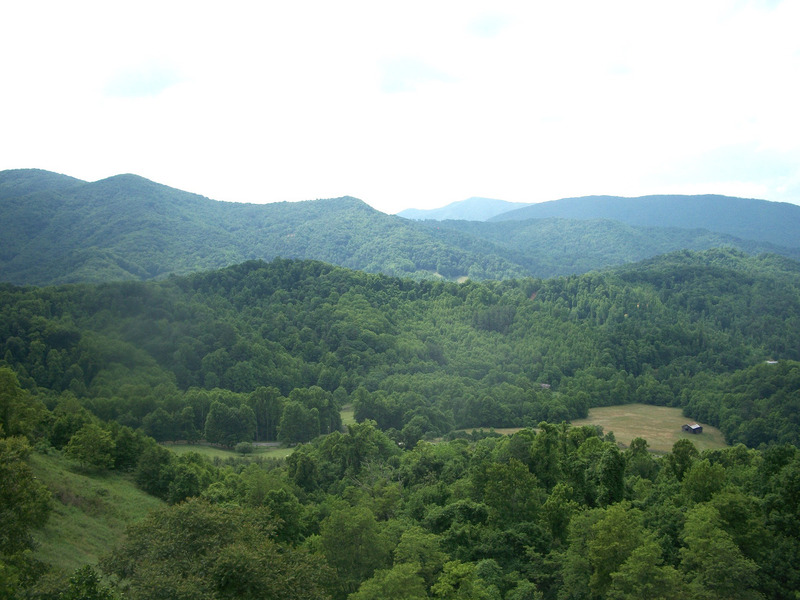 In the extreme eastern portion of Tennessee is the headquarters for the Great Smoky Mountains National Park. This is the most visited national park in the United States. The Appalachian Trail roughly follows the border of Tennessee and North Carolina as it winds through the Great Smoky Mountains. For those who would like to homestead but do not want to do so in cold northern climates, East Tennessee has valleys and with plenty of homesteading space. Interspersed in these valleys are rivers and lakes and some of the most spectacular scenery in the eastern half of the United States. There is a mix of deciduous and conifer trees in East Tennessee and portions of this area have numerous varieties of edible plants available for foraging. There is an abundance of areas in East Tennessee to drive through and explore when looking for a homestead or just some country property. What follows is not an exhaustive list but merely some of my favorite areas of East Tennessee. U.S. Highway 321 from Newport to Johnson City is one area where good homestead sites can be found a short distance on either side of the highway. Another good area is on both sides of U.S. 411 which crosses Tennessee Highway 40 about 12 miles east of Cleveland at the little town of Ocoee and runs northeast to Maryville. U.S. Highway 27 runs north from Chattanooga and angles northeasterly. After passing through the little town of Soddy Daisy headed toward Dayton there will begin to be areas suitable for homesteading or country property. U.S. 27 crosses I-40 at Rockwood and continues north to the Kentucky border. The terrain is interspersed with rugged areas and areas suitable for homesteading. Portions of U.S. 27 skirt the eastern edge of the Cumberland Plateau/Cumberland Mountains. My personal favorite area of the Cumberland Plateau/Mountains is along U.S. Highway 127. Take U.S. 27 north from Chattannooga and a few miles later U.S. 127 branches off to the west then turns northward. Highway 127 goes through towns such as Pikeville, Homestead and Crossville where 127 crosses I-40 and on north to Clarkrange and Jamestown and crosses into Kentucky. On either side of Hwy 127 are several great areas for homesteads or country property. The western edge of the Cumberland Plateau/Mountains is roughly traversed by Tennessee Highway 111 which branches off of U.S. 127 a short distance above Dunlap. Going north takes you through the towns of Spencer and Cookeville on I-40 and then to Livingston and Byrdstown before Hwy 111 crosses into Kentucky. For those who want mountain scenery and four seasons without bitter cold and deep snow for months at a time, East Tennessee can easily become a Homesteader's dream location. This portion of Tennessee is filled with rolling hills in the center and south and the Highland Rim/Plateau in the north. It is a place of transition from the Mountains of East Tennessee to the relative flat land of West Tennessee. Middle Tennessee is dominated by Nashville, the capitol, largest city and the home of Country Music. Radiating out from Nashville, like the spokes of a wheel is Interstate 40, running essentially east and west, Interstate 65 running essentially north and south and Interstate 24 running essentially north west and southeast. In spite of this network of Interstate Highways and the inevitable beltway that is planned for the future, there are several excellent homestead areas in Middle Tennessee. North of Nashville and roughly running parallel to the Tennessee/Kentucky border is Tennessee Highway 52. Highway 52 crosses I-65 about 3 miles below the Kentucky line. Going east you have small towns with names like Westmoreland, Lafayette, Red Boiling Springs, Moss and Celina. This area is filled with friendly people and areas suitable for homesteading. West of Nashville and just north of I-40 is the town of Dickson. U.S. Highway 70 runs west from Dickson through Waverly and on to the Tennessee River. This is another good area to look for homestead land or country property. South east of Nashville is the city of Murfreesboro. If you take U.S. Highway 231 south you come to Shelbyville the home of the Tennessee Walking Horses. Further south is Fayetteville and then the Alabama line. This is peaceful, beautiful countryside ideal for homesteading or country property. Going west of Nashville on I-40 for about an hour brings you to Tennessee Highway 13 which runs north and south. Either direction has some good homestead land but I prefer to go south on Highway 13. You go through several little towns with names like Lobelville, Linden, Waynesboro and Collinwood before reaching the Alabama border. The scenery is great, and there is a good choice of country and homestead property to be found. There is good soil here, four seasons a year and plenty of rain and growing time for a garden. West Tennessee is usually thought of to begin at the Tennessee River which runs north and south and I-40 crosses it about 1/3 of the distance between Nashville and Memphis. Here the rolling hills start to give way to more flat land with lots of trees and meadows. It was in this portion of Tennessee that I learned to pick cotton, ride a horse and wandered in my first wildlife preserve. The wild life preserve was a short walk from my house and was the summer home of Cranes, Little Blue Herons and other migratory birds. This part of Tennessee is also home to Reelfoot Lake. This is a shallow lake in north western Tennessee with lots of Cypress Trees that reminds one of portions of central Florida. Reelfoot Lake is a popular lake for Crappie fishing and in the summertime as a child I loved to visit a place that I'm sure is no longer open to the public called Edgewater Beach where there was a sandy beach, picnic area and swimming in the lake. At Exit 126 on I-40 about 7 miles west of the Tennessee River, U.S. Highway 641 goes north to the town of Paris, Tennessee. At Paris Tennessee Highway 54 goes west to the town of Dresden, Tennessee. In this transition area from the rolling hills of Middle Tennessee to the flat land of West Tennessee can be found good homestead areas. If you continue west on I-40 Past U.S. 641 you will come to the town of Parker's Cross Roads. Here Tennessee Highway 22 goes south to Lexington and on further south to Adamsville. Going north on Highway 22 from Parker's Cross Roads brings you to Huntingdon then McKenzie and on to Martin, Tennessee. There is lots of rural land in this area suitable for county property or homesteading. About 70 miles before coming to Memphis on I-40 is the city of Jackson, Tennessee. This is the eighth largest city of Tennessee with a population approaching 70,000. U.S. Highway 45 runs north and south from Jackson and goes all the way to the Mississippi border south of Jackson. U.S. Highway 45 going north soon splits into Highway 45 E going to Milan and on to Martin, Tennessee while Highway 45 W goes to Humboldt, Trenton and on past Union City, Tennessee. By this point West Tennessee is mostly flat landscape and it is not uncommon for the Jackson area and south to have the months of March through November where there average temperatures are above freezing. This allows careful and savvy homesteaders to get two crops of many garden favorites harvested. Going north from Memphis on U.S. 51 you go through towns such as Covington, Ripley, Dyersburg and on to Union City, Tennessee near the Kentucky border. In the past this portion of Tennessee was home to a lot of soybeans and cotton growers. The land is basically flat with lots of trees and a good growing season. West Tennessee has areas where in a heavy rain there can be flash floods so a homesteader would want to inquire about the incidence of flooding if considering low lying land or extreme western Tennessee flat land. Because of the proximity to the mid-west and its incidence of tornadoes there is the possibility of experiencing a tornado in extreme West Tennessee. The incidence of flash flooding and tornadoes are possibilities that all prospective homesteaders interested in West Tennessee should take into account when looking for land there. Because of the length from east to west of Tennessee this State has a wide variety of different landscapes and areas that can suit even the most discriminating homesteader. The average annual rainfall across the State makes it unusual for a homesteader to have to do much watering of a garden, pasture or orchard area. This is an advantage that the American States east of the Mississippi River have over the American West. Because of the wide variety of suitable homestead areas in Tennessee the wise person looking for their ideal homestead area will want to spend time researching land values in the different portions of Tennessee. The internet is a great place to start that search process.You can learn how to do an internet search for homestead property here. Although there are suitable homestead sites in several States east of the Mississippi River, Tennessee tops them all when considering the variety of homestead suitable areas it has to choose from. Is Tennessee a Homestead State? Tennessee has a Homestead Law which exempts a portion of the value of the home. Being in the eastern portion of the U.S. Tennessee did not participate in the Homestead Act of 1862. There is no free homestead land in Tennessee but you can purchase land for a modern homestead there. What Are Tennessee Rural Homesteading Land Grants? This is a series of land grants starting at $250.00 and going up to $100,000.00. They can be used for farming, gardening and agricultural products. Can You Live Off The Grid in Tennessee? Tennessee, like most states allows you to live off the grid in Rural Areas of the State.